AnglicareSA has welcomed the Marshall Liberal Government’s commitment to increasing opportunities for family-based care in South Australia. The 2018-19 State Budget, released on Tuesday, confirmed the Government’s election commitment to support children in foster and kinship care until 21 years of age. AnglicareSA Chief Executive Officer, Peter Sandeman, said the injection of $8.8M, over four years, to support extended care is a step in the right direction. “The commitment made in the State Budget will give vulnerable children the best possible chance to enjoy a positive, stable transition to adulthood,” he said. “We have long-campaigned for this key reform. It is pleasing to see the Government is listening and working with the sector. “Last week, AnglicareSA launched its Moments That Matter campaign, which aims to increase the numbers of foster carers in our community. 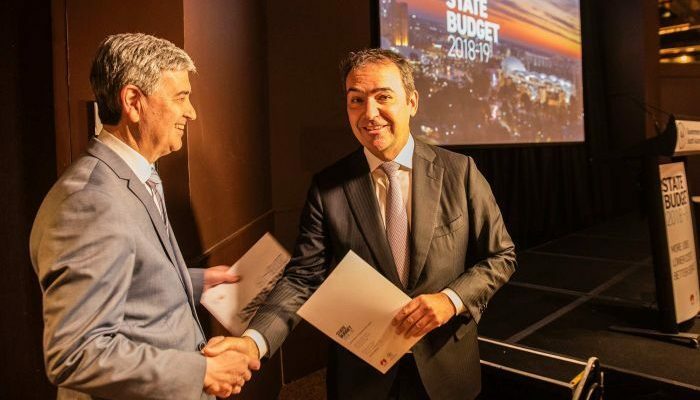 While the headline allocation of $30.9M, over two years, to cover the additional cost of increasing numbers of children entering out of home care was crucial, Mr Sandeman said South Australia needed a long-term strategy. “The number of South Australian children in out of home care has increased 98 percent in the past 10 years. It’s a trend that cannot continue. In addition to child protection, the State Budget also allocated $2.5M to suicide prevention services. Mr Sandeman, who also sits on the Premier’s Council for Suicide Prevention, welcomed the allocation of these funds. “AnglicareSA runs suicide prevention services across the state. We see firsthand the devastation caused by suicide on individuals, families and communities,” he said.